Nancy Pelosi, tweeter of the words "Mr. President" and “dark chocolate” in the same 140 characters, is taking her talents to TLC’s Next Great Baker. Let Capitol Hill rejoice. 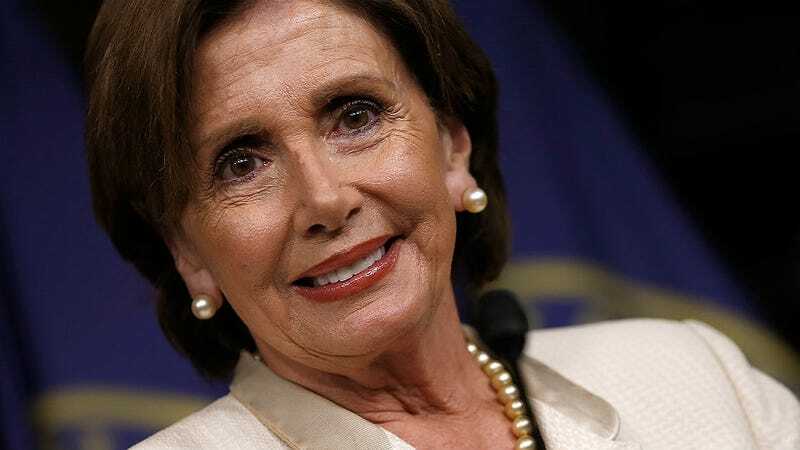 Democratic House Minority Leader and woman well-known for the Frozen Smile will serve as a judge on Tuesday night’s episode of the TLC show, according to the Huffington Post. Pelosi will bring her bi-partisan spirit and knowledge of her hometown of Baltimore, Maryland’s Little Italy pastries to the reality cooking competition. The contestants look thoroughly confused and then terrified when the host Buddy Valastro introduces her in the TLC teaser, which means this episode just might be amazing. "As a fellow Italian American and a dark chocoholic, it was an honor to visit Buddy's cake factory and be a guest judge on Next Great Baker," Pelosi said in a statement. "It was a delicious experience." One thing is sure, Pelosi probably won't share the gains of this show with the Republicans across the aisle, bi-partisan or not.